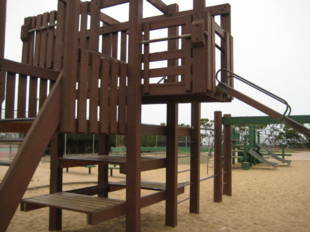 West Sunset Playground has a large soccer field, three baseball diamonds, two tennis courts, a full basketball court, three small basketball courts, a running track, a playground for kids, and a small recreation center. 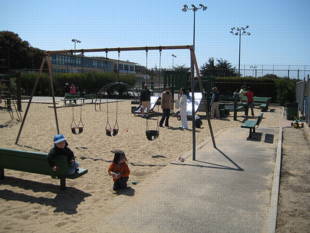 The West Sunset Playground is owned by the San Francisco Recreation and Park Department. 29-Sunset -- Sunset Blvd. 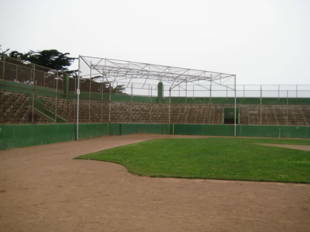 and Quintara St.
48-Quintara/24th Street -- Quintara St. and 41st Ave.
71-Haight-Noriega -- Ortega and 48th Ave.; walk east on Ortega to 41st, then south to the park. 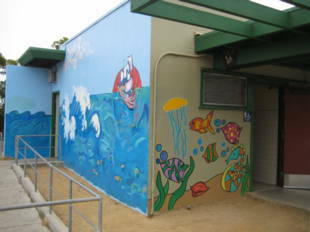 For a complete schedule of activities at West Sunset Rec Center, go to http://www.snbc.org/recconnect or call (415) 753-7047. There is a library across the street from the clubhouse. As of May, 2009, the library is closed for renovations. Contact the Friends of the San Francisco Public Library for more info: http://www.friendssfpl.org/. Fundraisers, volunteer workdays, and social events. Visit www.fowsp.org for more info. Friends of West Sunset Playground (FOWSP) is a non-profit, community based organization whose mission is to redesign and rebuild West Sunset Playground to be maintained, sustained and integrated with the neighborhood, while continuing to provide programs to best serve the community. Visit www.fowsp.org for more info.